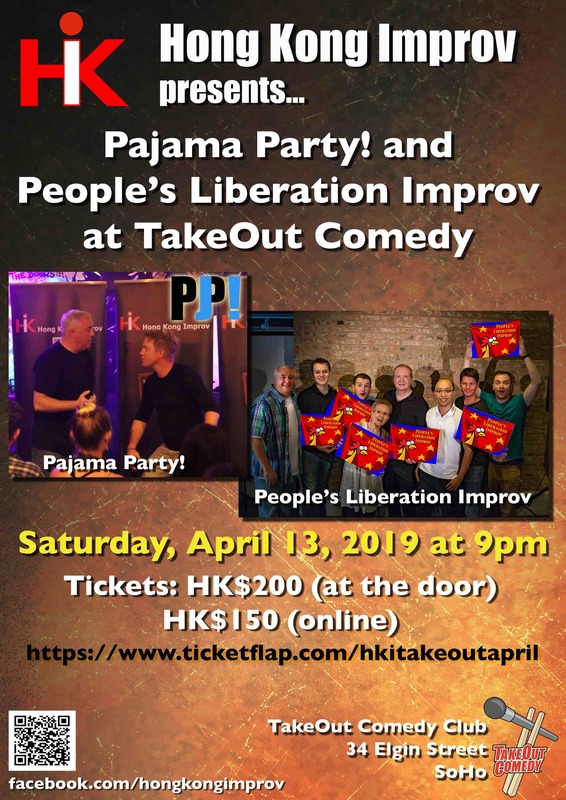 Come join us on April 13 for another special show at TakeOut Comedy Club, back where it all started! This month we're featuring Pajama Party! and People's Liberation Improv! Each show is unique and interactive, as our players act out unscripted scenes based on suggestions from you, the audience... who knows what will happen! Seats are limited, so get yours soon! The venue is BYOB so bring your own refreshment of choice! Tickets are HK$200 in cash at the door or you can purchase online for only $150!